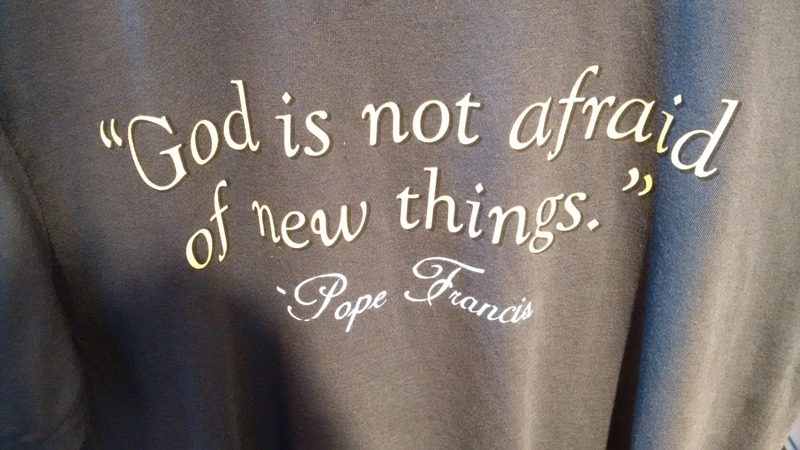 Religion against science, science against religion; which one is right? It’s an old, hoary story, one that goes far back past the books of Christopher Dawkins to the well-known tales of Galileo, Hypatia and Socrates. Devotees of science say that the ordered world precludes a belief in God, while the faithful say the very same proof explains it. We’re still having this conversation, on the same kind of cultural scale. 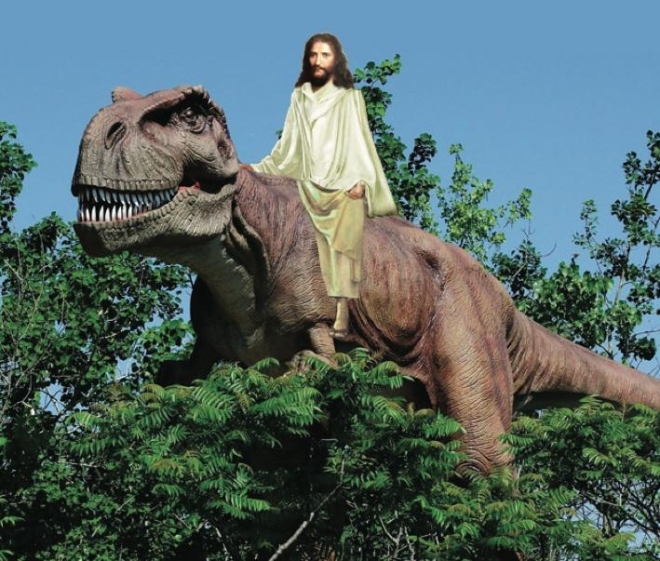 You can visit the Creation Museum in Petersburg, KY, where you can see a real, world-class allosaurus fragilis skeleton and then learn that the animal in question existed at the same time as human beings and died in the Flood. You can head to your local streaming service and rent Bill Maher’s film “Religulous,” which tries to put the screw to who people who truly believe in the power of prayer without trying to understand why they might be so devoted. 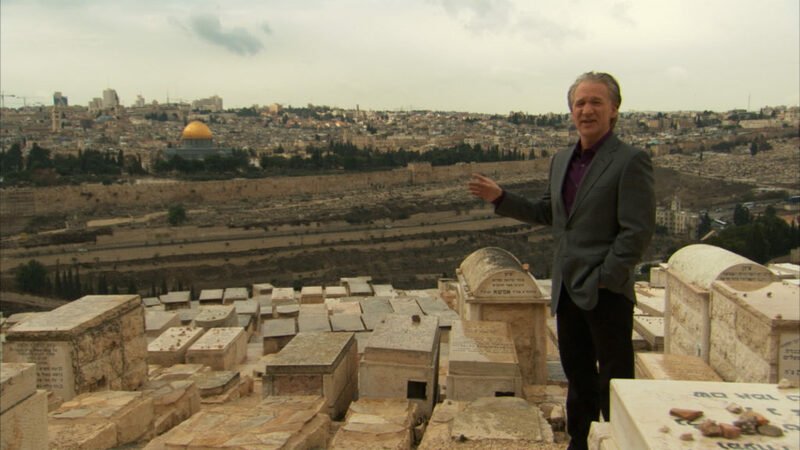 Maher at the Mount of Olives, destroying sacred cows or something. Nope. The rest of us are still fighting over who’s right and who’s wrong. Who knows? It’s my opinion that we’re just adding to the fighting that’s been happening since some nameless, curious shaman discovered fire and thought it might be a gift from the gods and not just a natural reaction, not making progress. We’ll never know. All we can do is keep talking and trying to understand each other. Nancy Kress’s “Belief,” in the March/April issues of Fantasy & Science Fiction, tackles this dichotomy on a very personal level. There is a mother devoted to the path of science; there is a teen daughter who is looking for something a little more transcendental. What I love a lot about this story is the fact that Kress allows the readers to explore both viewpoints in a parallel fashion and draw their own conclusions. And Kress’s protagonists, unlike the Mahers and the Fox News anchors of the world, actually make progress. We here at Sacred Earthlings call it awesome reading. This is wrong no matter which side of the argument you’re on. Let’s all keep trying to understand each other — without shouting each other down, denouncing faith or science with a broad brush or as a matter of course. As Kress’ heroines may (or may not! No spoilers!) discover, there’s only one way out of this mess we’ve made, and that’s together. Read the rest of the interview with Kress at Fantasy & Science Fiction, where she talks more about her inspiration for the story and discover where you can pick up the March/April issue in which the story is published.